During our travels in western Mexico and Central America we’ve become aware of how costly electricity is in Latin America. Many times our rent is the base price with the extra cost for the electricity added on by the week or month. Kitchens usually have cooktop stoves (ovens are rare) fueled by propane which is cheaper and no hot water line plumbed in. And several times, in budget accommodations, our showers have been cold to tepid also. This, we’ve been told, is the typical arrangement for most local dwellings. 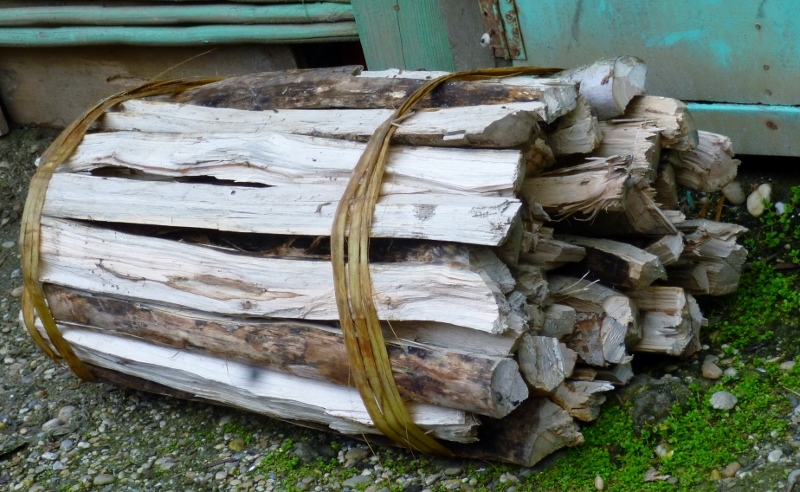 It wasn’t until we were in the mountains of Chiapas State, Mexico, on our way to San Cristobal de Las Casas, that we first became aware of the people who gathered wood. This they gleaned as a fuel source primarily for home consumption uses such as cooking and heating. This basic commodity might be bound for the gatherer’s home or it might be for sale on the streets but it was the fuel choice of the lower echelon of society. This type of labor takes place at the micro level of the economy, akin to the subsistence farmers of the campo – the country side – who tend small plots of land on the slopes of the hills or by the margins of the roads. It takes place off the grid and the harvesting is done in the thick forest or jungle. More often you see men, each with a machete dangling from their hand, and women or children, walking on the sides of the roads with their loads. Or you see the vendors in the small towns, in the markets, on the streets or hawking wood door-to-door. 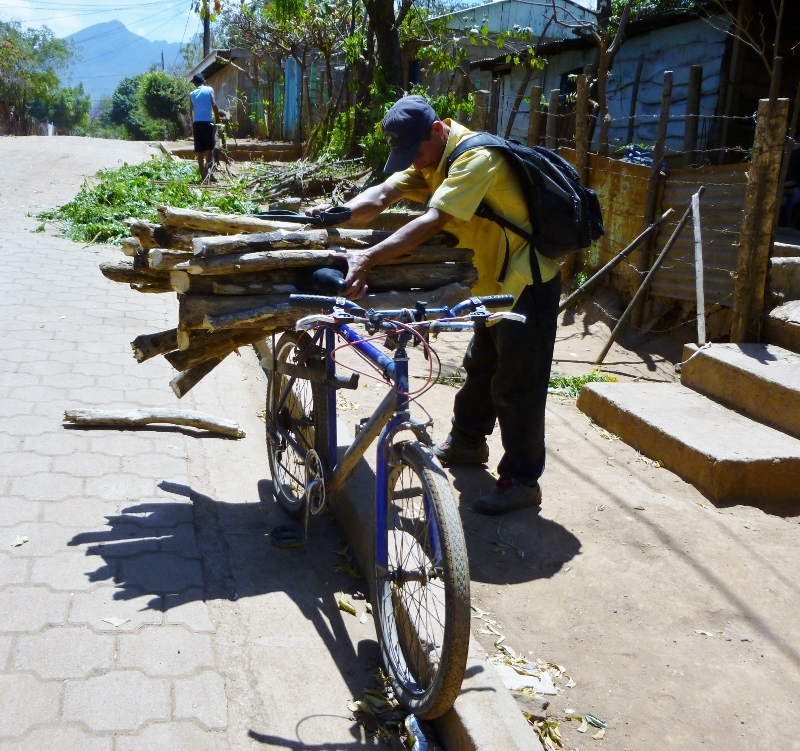 Gathering wood is ubiquitous; it went on almost everywhere if one was watching for it. We saw it in the mountains of Chiapas and throughout the Petén rain forests of both Mexico and Guatemala. We saw it on the beaches in El Salvador, in the western highlands of Guatemala, the coastal regions of Honduras and in the northern hills of Nicaragua. And we saw it in the city of Granada as well as on the Caribbean coast of Panama. Often the men and boys were seen with the large loads suspended from the tumplines around their heads or peddling bicycles with staggering loads strapped on front or rear. 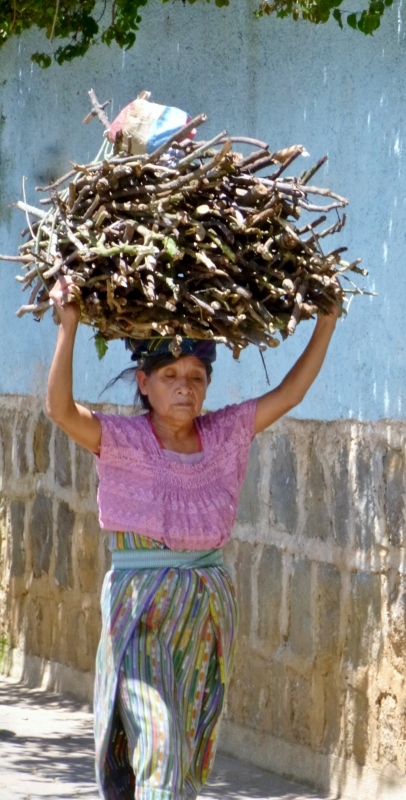 Or women trudging along the roads with armloads of wood or even trunk sections balanced on their heads or shoulders; they carried driftwood along the beaches and back towards the small homes away from the tourist areas. Wood gathering is demanding and dangerous work as we came to learn. 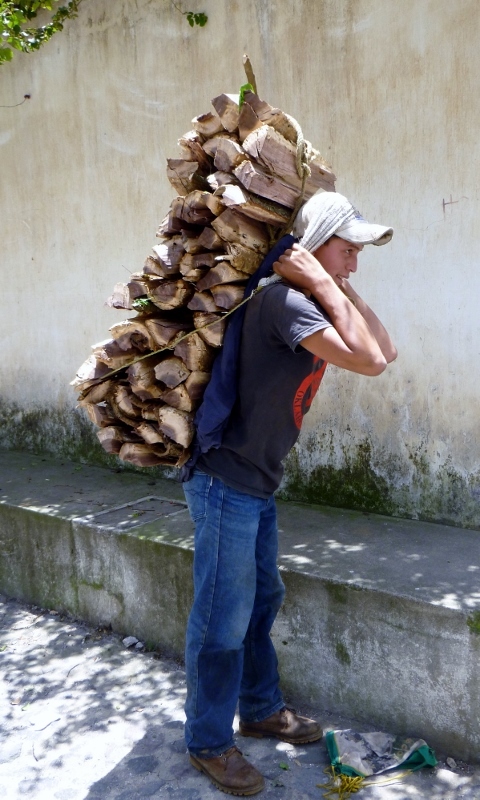 While housesitting in Antigua, Guatemala for three months we enjoyed using the fireplace on chilly nights and Alejandro, a young man, supplied our wood. One morning we asked about his “bandaged” hand which was wrapped in a cloth soiled by the work of wood gathering. He was missing the last joint of the ring finger due to a machete accident which had happened several weeks previously and was still in the healing process. A few months later we met Herman, now a middle-aged, panga boat captain from Utila, Honduras who told us of collecting buttonwood beginning at the age of six with his family. He would rise with his father and brothers well before dawn to row from their home on one small island to another spending the day chopping and gathering wood. Since the red sap of the buttonwood would destroy the few clothes they owned father and sons worked in their briefs or naked. 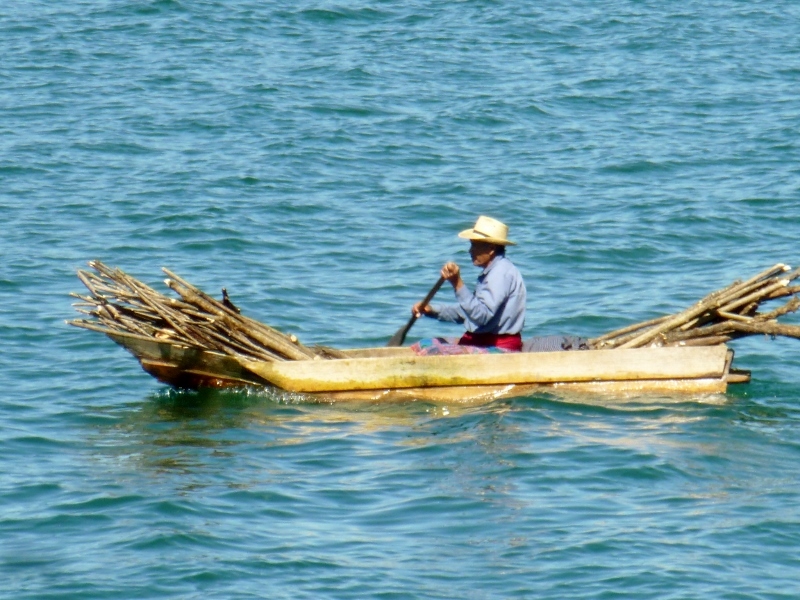 Once the wood was gathered and bundled into uniform sized sticks of one-hundred pieces, they’d paddle to a third island to sell the wood and then paddle home to rest for another day. 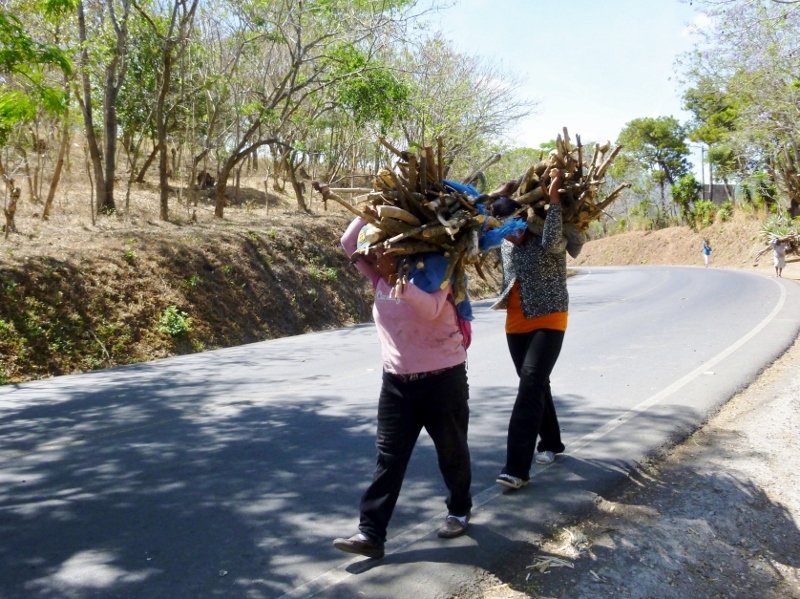 In the lands where electricity is expensive and poverty is a reality, the necessity for firewood as a fuel will undoubtedly continue. Breathing in the smoke in homes not properly ventilated causes a lot of respiratory illnesses, especially in the young. However, it is the reality of those living in poverty and on the edge to rely upon this natural commodity and it will fall to those within that class to provide the labor which provides this necessity. Such a beautifully written and photographed post. I think part of the travel experience is seeing how the rest of the world lives. It gives us all more compassion for others. As the world becomes smaller and smaller and we learn more about other cultures, I hope people around the globe will become more emphatic. This is what travel is all about, learning how other people live and having empathy. Thank you for reminding me of everything I take for granted. Every one of these photos made my body ache. Knowing it and seeing it are truly two different things! What an interesting post. It’s intriguing and sobering to be made aware of micro-businesses going on around the world like this one and yes, makes me happy to have electricity at the touch of a switch. We’ve also lived in developing countries were black outs or brown outs were the norm and we were prepared for them with candles and lanterns, but in Australia, a power cut is an emergency situation! This was a thoughtful and well written post – thank you, it made me think. A beautiful post (love all your images) on the one hand highlighting the ‘romance’ (read ‘hard-bloody-work’) of collecting wood for a life of self sufficiency, while on the other firing up the debate of how we humans care for ourselves – feeding and warming ourselves – while also caring for our precious environment. Sometimes although I don’t envy these folks and the backbreaking work of wood-gathering it does spark just a hint of yearning for a back-to-basics sort of life. If the power goes off for more than an hour where we live (in the electricity-abundant Pacific Northwest) you would think the end of the world had arrived. I suspect there are many in the younger generation tucked away in urban comforts that might not know how to gather wood or light a fire for that matter. I was amazed in Hawaii to hear grown-ups ask the type of bird that ‘crowed’ as they watched roosters walk the hotel grounds. . . I suspect you are correct on that point. In between the wood gathering, the mono-crop plantations, the legal and illegal timber harvesting and urban sprawl the trees are having a tough go of it. Thank you for making that cogent point on behalf of the forests. Very interesting story, When we lived on St. Croix electricity was incredibly expensive and we learned not to take it for granted. Very interesting and thoughtful post. Not that long ago, we heated our home in Minnesota with wood. We grew to dread the autumn if supplies ran low. It was tons of work year ’round: we scavenged for trees to cut, negotiated with landowners as necessary, hauled, split, stacked and carried. 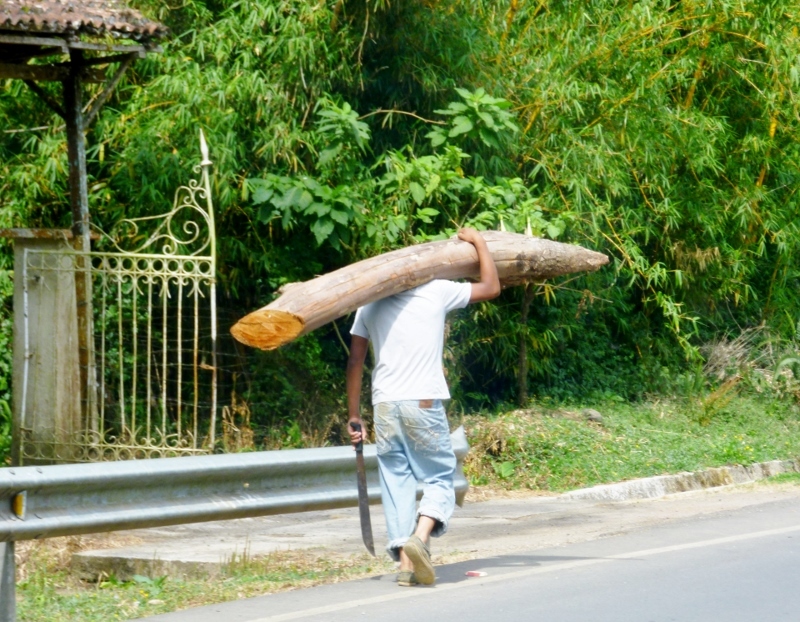 Most of the drudgery with wood consists of moving it around, as you describe. 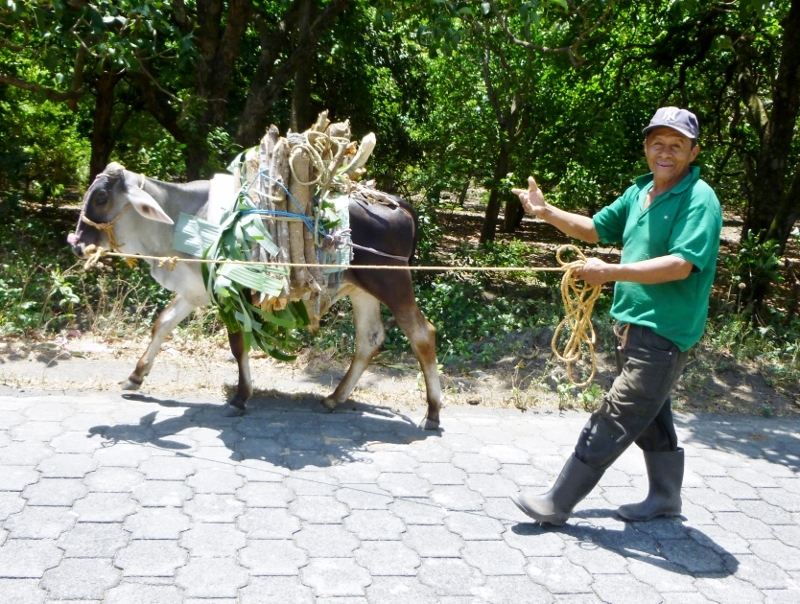 Our tasks were made easier with truck, trailer, chainsaws and rented splitters (all of which required gasoline). Waiting on aged wood (it needed about a year to dry) when you’re running low is nerve-wracking, too. While many people romance the independent nature of going off the grid, living it can be another story. Good perspective, thanks. I have seen scenes like this – especially in Tanzania – and that makes me fear for the forests as well. What a tough way to make a living – and you do wonder how long it can last. Turning on the oven, flushing a toilet, reading by light in the evening – all things we never think about. Good to get these visual wake-up calls – and start the creative process of how you fix the problem in the long term. 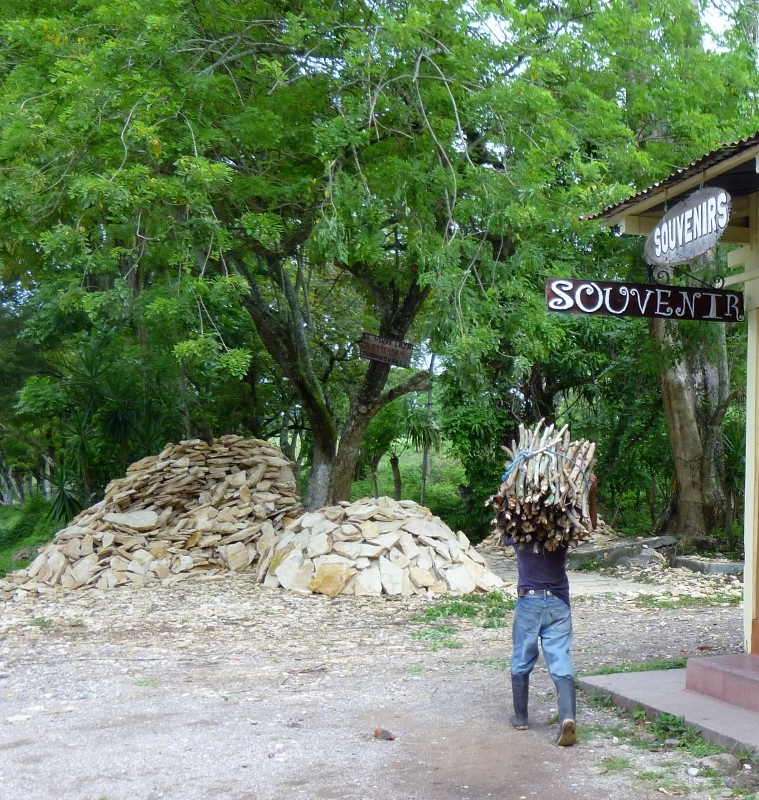 There are still a few families around mostly on the outskirts of town and further into the campo that use wood. I was quite surprised the first time that I went to a house in town and saw the lady of the house still cooking outside with concrete blocks and a wood fire. Luckily we live where the water is usually quite warm when it comes from the tap and we never need to heat the house. The state subsidizes electricity in Panama but I can still see it being pricey for people who only earn $2.50 an hour. It’s very frustrating sometimes to see transplanted North Americans complain about certain things when I look around and see how some of my vecinos live. We have to keep reminding ourselves how lucky we are! We are wealthy enough to complain about the cost of electricity and should be happy that we have the option (and the electronics and appliances) that require it. There are so many things we take for granted! Thank you for this insightful post.